Instant, invisible aromatherapy for any room! Perfect to pack in your suitcase for a weekend getaway! 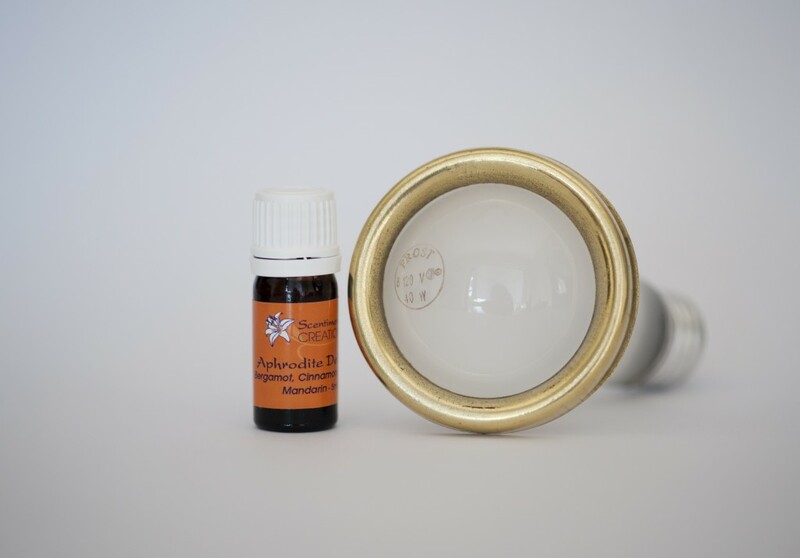 Place the oil ring on any 60 - 75 watt standard bulb, add 5 - 10 drops of essential oil in the lamp ring with a small amount of water, and turn the light on. The heat from the bulb will diffuse the aroma for up to three hours. Includes 5ml Aphrodite Delight.